Hi friends, I’m here again today with another card to show you! I made this card in the same setting as the cards I made for the Danipeuss Card Challenge – here’s the link to card 1 and card 2 if you are interested in them. For anyone else who is interested to participate in the card challenge, there’s a new challenge up already, which you can check out here too! This card started out as an experimentation of sorts, as I play around with supplies that I don’t usually use. 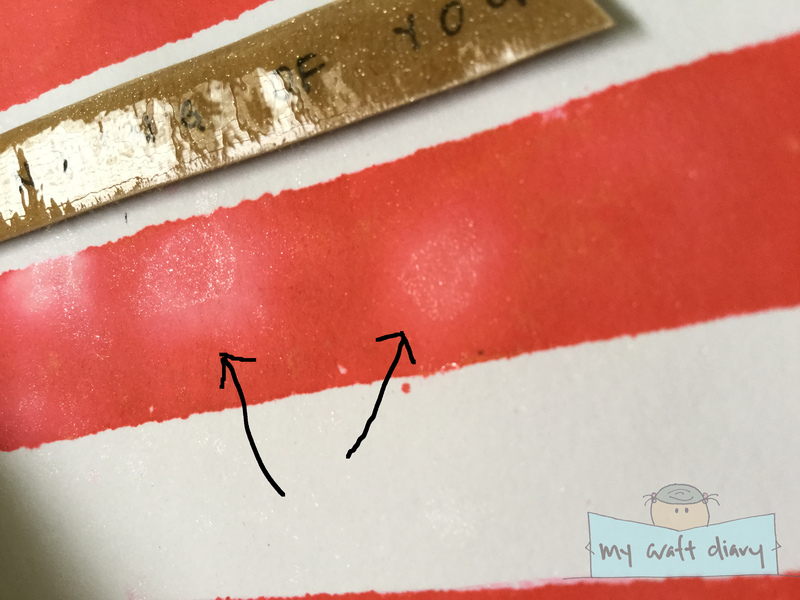 I stamped the background with a striped border stamp using a red dye ink for some patterned background. 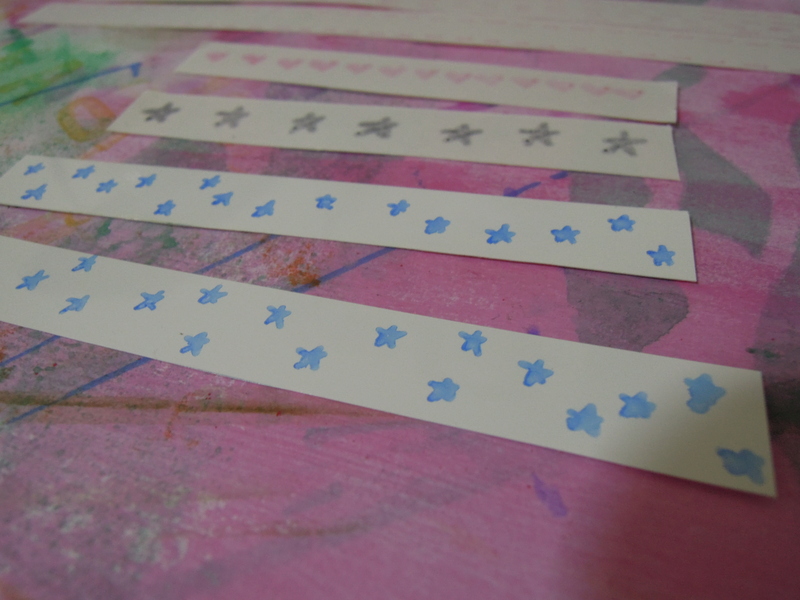 It didn’t ink too well though, for some reason, and I can’t tell if it’s because I’m not using a mounting block or the stamp itself, because the results is the same when I use a pigment ink. 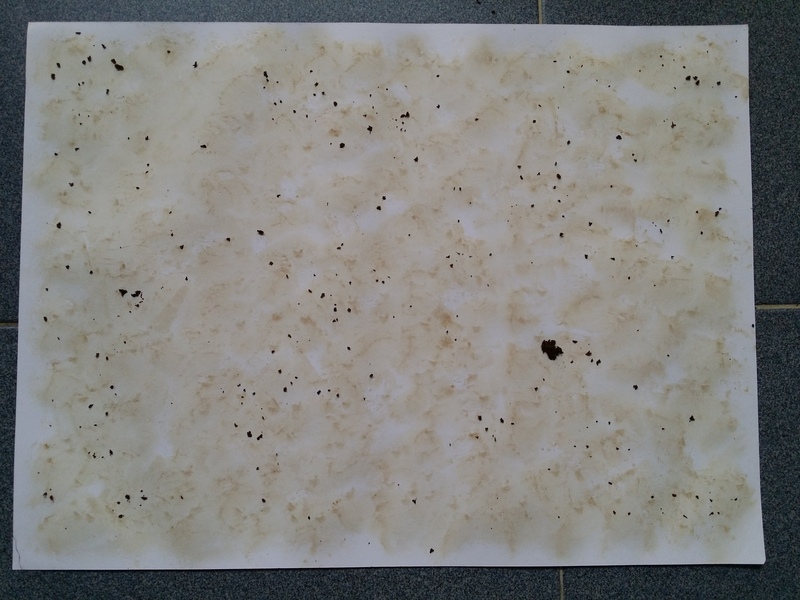 Nonetheless, I went with it and took the splotchiness as a design feature as well by spritzing the whole panel with water mixed with perfect pearls. I got this idea from Jennifer McGuire, and it’s basically just filling a spray bottle with a spoonful of perfect pearls. You get a nice light shimmer coverage when you use this, which is really nice to add just a little something special to backgrounds. The light shimmer didn’t show up too well on the camera though, so I can’t show you how that actually looks, but it’s a really pretty and subtle shimmer. 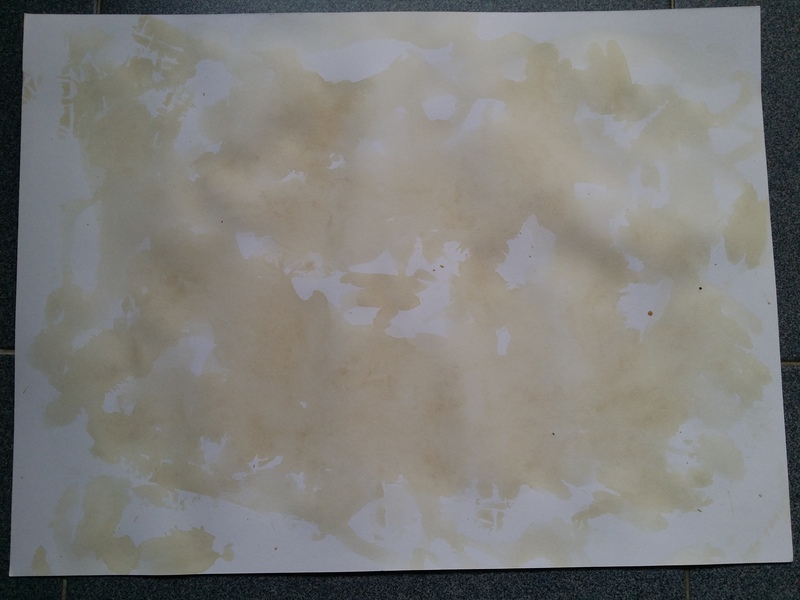 You can see the slightly lighter colouring of the splotches, as well as a more concentrated dose of the shimmer. 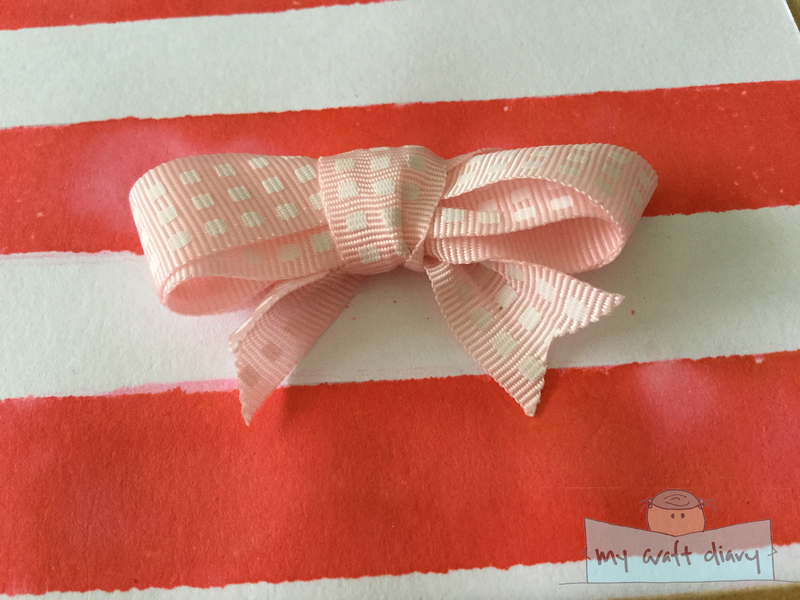 The focal point of the card is this cute little ribbon that I’ve tied. While waiting for the background to dry, I came across this video on how to tie a ribbon in less than a minute, so of course I had to try it (and break out my stash of hardly ever used ribbons in the process). 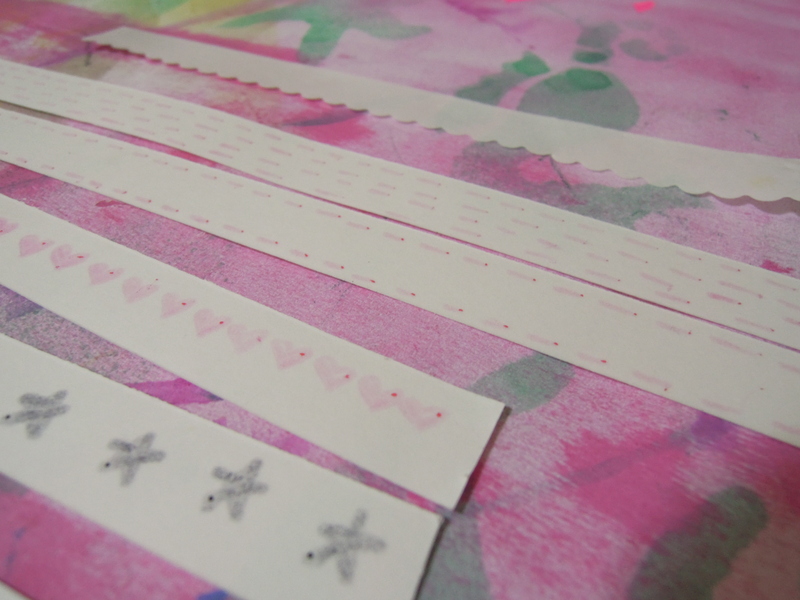 It turns out that the ribbon are really embellishment worthy if you have some nice coloured ribbons and the pink ribbon looked really nice when I auditioned it against the background. I glued the ribbon to the panel with some fabric glue, but any wet glue should work fine. 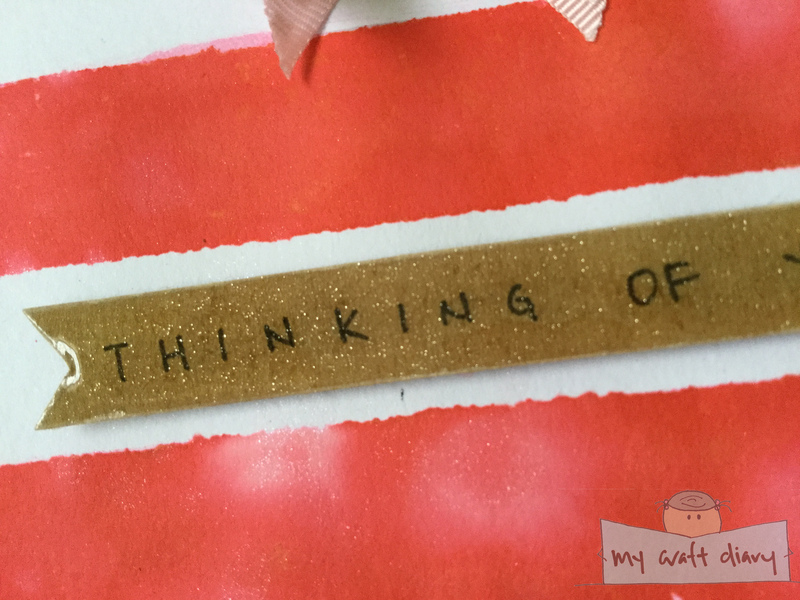 I decided to use the sentiment “Thinking of you”, which I thought would be a nice complement to the ribbon and the sweet colour scheme of the card. I wanted to keep the card basic and the focus on the ribbon, so I opted to write out the sentiment, rather than stamping it on. To echo the wide distance of the striped background, I first drafted out the sentiment on a grid paper, and then used it as a guide when I wrote out the sentiment on kraft cardstock. It’s not perfect placement, because I stumbled a little when I was writing it, but it’s close enough that I don’t scrutinise it – it’s alright to not be perfect in your projects! A tip if you like to hand-write sentiments or words like me: scrap pieces of cardstock are excellent for adding sentiment or word banners! 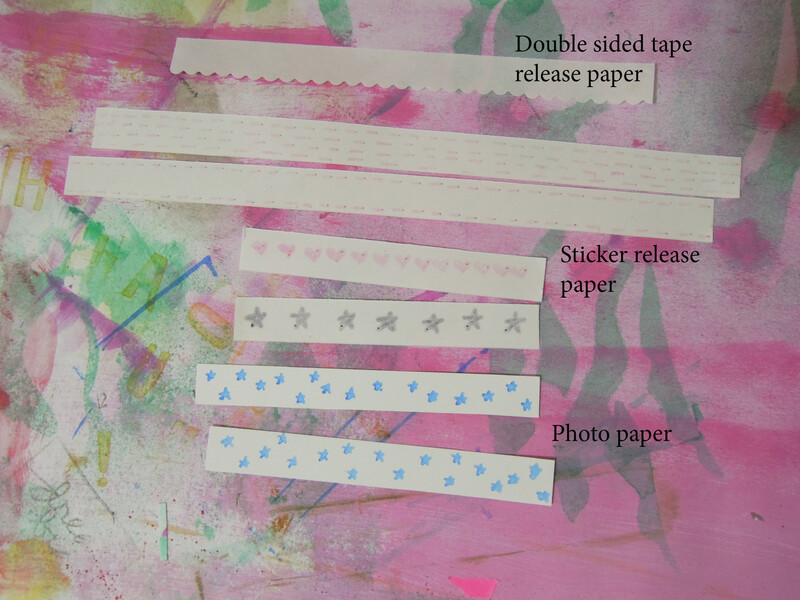 You get to use up all the thinner scraps that don’t get much use otherwise and the thinner width makes it easier for you to align your writing or when trimming it. For the last finishing touches, I went over the entire banner with a Wink of Stella clear glitter pen, and coated it with a coat of Glossy Accents for an epoxy look. Really like how that shimmer looks under a layer of Glossy Accents!